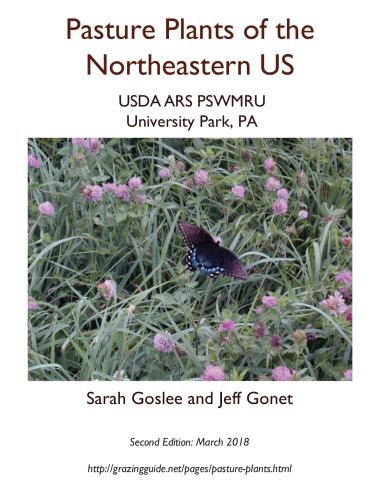 Researchers at the USDA-ARS Pasture Systems and Watershed Management Research Unit have released a second edition of their pasture plant guide, containing almost 300 plant species found in surveys of pastures in the northeastern US. Each plant has basic information, a map of survey distribution and abundance, and black and white line art, and many have photographs. They have also published a guide to seedlings of common pasture species.